Trowbridge Town progressed through to the next round of the league cup thanks to an inspired late run by Dave Percival. 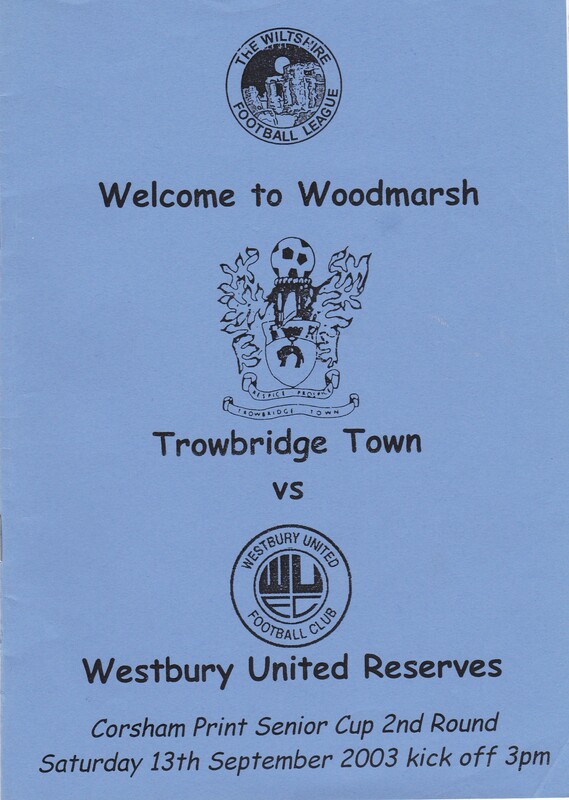 Had this been a boxing match they would have easily won on points but Westbury, to their credit, frustrated Trowbridge from start to finish with good defending and excellent goalkeeping. In the first half the home side played some lovely flowing football but they could not break through. An early chance was headed just over by Percival from a Gavin Eyre cross. They went close again in the 19th minute. A 35 yard low shot from Andy Bloodworth whizzing past the post by a couple of inches. In the second half, Percival appeared to be held back in the penalty area just as he was going to shoot following some good work on the left by Adam Nunn but the referee waved play on. In the 67th minute Waleed Bakali went close from a very tight angle, the ball seemed to roll along the cross bar before it was cleared by the Westbury defence. The best chance of the 90 minutes fell to substitute Guy Rowley. A shot from Dave Mitchell was palmed away by the goalkeeper and Rowley followed up with a strong low shot which Lewis Porter, the Westbury goalkeeper did well to hold onto. In extra time, Trowbridge looked a little disjointed at times and Westbury managed a couple of attacks, which came to nothing. Everyone was now expecting penalties but Percival had other ideas. Gaining possession on the halfway line, his run took him past three defenders into the left edge of the penalty area and a superbly struck left foot shot across goal finally beat Porter to give Trowbridge the win that they deserved.